Sign up for Broadjam today to follow Wiesbrook Road, and be notified when they upload new stuff or update their news! 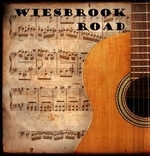 Wiesbrook Road is a band that plays pop rock music in a style that sounds like Dave Mathews met John Mellencamp. Strong hooks and great feel to songs, very upbeat. Check out the new Blog Post at www.EuphonyProductions.com on how to get discovered. It is a must read.